Curtain trailers are similar to box trailers, however rather than solid sides, they have movable curtains that allow easy access to the cargo inside. 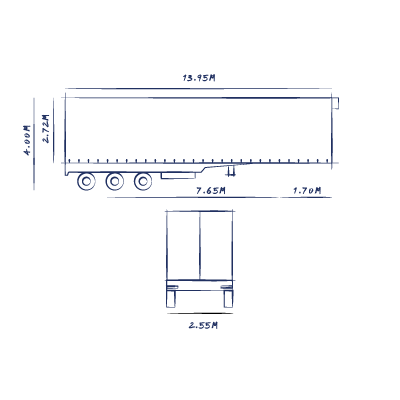 Curtain trailers are used for most shipments, except high value cargo where tampering is a threat. Dimensions may vary depending on how old the container is, who produced it, and who owns it. The dimensions below are a standard industry sizes.